Most players I’ve come across are only familiar with the general variety played. But, that’s not all there is. Blackjack is a diverse game with a rich history. 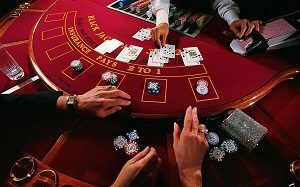 As such, they are different variations of the game-even if subtle ones.Before playing any game of Blackjack (or any casino game) it’s important to know the rules and the payouts. Nothing could be worse than having a huge bet out there and being told that you can’t do something, like split Aces and hit. That’s the pits. Know the game before you play. Ask if you must. Online Blackjack is easier, because all the rules are usually just a click away. And the rules are vital if you plan on playing some sort of system. Not all systems are universal. European Blackjack – It’s played with two decks. Unlike some places on the Las Vegas Strip (unless they offer this variation), the dealer must stand on a soft 17. Oh, and here’s a big difference. You can only double down on 9 and 11. That’s right. So, if you have an Ace and an 8 with the dealer showing a 6, you can’t double.For most people, this limitation is no big deal. But, it can be tough to swallow for the more aggressive player. Another aggressive player killer is the fact that you can’t double down after a split no matter what. In this version of Blackjack, the house has a 0.39% advantage. 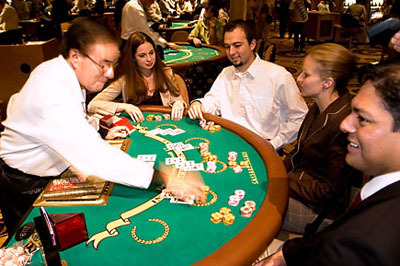 Atlantic City Blackjack – This version of Blackjack is always played with eight decks via a shoe. As with Euro Blackjack, the dealer must stand on soft 17. And that’s how Downtown Las Vegas plays it too. Splitting is allowed, but only up to three hands. And you can double on the first two cards after splitting too. Another interesting option is late surrender, which is allowed in the Atlantic City version. The house advantage is slightly lower at 0.35%. Double Exposure Blackjack, which is a crowd favorite-at least at first. You can see both dealer cards. Easy win right? Not so fast. The dealer wins all ties. Yep, no pushes, you just lose. It’s the price to pay for knowing what the dealer has.Another feature that I don’t personally like is Blackjack payouts only paying even money. There’s no bonus at all, which kind of ruins the game for me. The game is played with a shoe that holds 8 decks and the dealer hits on soft 17.Even though the dealer shows both cards, the house advantage nearly doubles the previous two versions we talked about. It’s 0.69%. 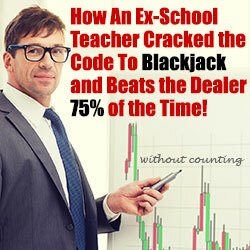 Blackjack Switch adds a new element to the classic Blackjack casino game; card swtiching. The object of the game is the same: obtain a total card count higher than that of the dealer without going over 21. However, now you can switch cards between your two hands in an attempt to get a better hand and improve your chances of winning. First you make two bets of equal size and are then dealt two hands instead of the normal one. You then have the option of switching the second card dealt to each hand. With a bit of luck, better hands are created and you win. Because of the increased odds of winning, if the dealer has 22 a push is declared and Blackjack pays even money (1:1) instead of the normal 3:2. Any 5 card hand that does not bust is called a “Five Card Trick” and pays 2 to 1. This hand does not beat a Pontoon but beats all the other hands. These are the most common variation for the classic game of 21, but rest assured that casinos are always looking for new ways to attract players and offering new rules and whacky bonuses always keeps the public interested. Each player gets two cards face up and the dealer’s cards are one face up and one face down. The dealer hits on soft 17. Each player may split to 4 times and is allowed to double down at anytime with any number of cards, even after he splits. Players can re-split Aces and 10-valued cards are also allowed to re-split. Surrendering is also allowed at any time with any number of cards even after splitting or doubling down. If the player has blackjack, he always wins, even against the dealer’s blackjack. If a player has a hand of 6 or more cards that total 20 like – 2♣ 3♦ 2♠ 3♥ 4♦ 5♠ or less he beats the dealer even if he has a blackjack. Any 5 or more — card player hand that totals 21 like 2♣ 3♦ 4♠ K♥ A♠ pays off 2:1. However, no casino would create a game that is in favor of the player all the time. This game has its pitfalls. Player blackjack (except for diamond blackjack) pays even money. Remember, any game strategy especially the blackjack basic strategy for Super Fun 21 means not only playing to win but also having a lot of fun while you gamble. So which games give you the best chances? The ones with the lowest house edge. See the chart below (edge calculated for 6 deck games). Match Play 21 – Match play 21 uses a “Spanish deck”, which instead of the standard 52-card deck of cards, consists of a 48 card deck (with the four 10 cards removed). This means fewer blackjacks occur, though it also means more “match play 21s” are possible. A “match play 21” hand pays out a whopping 40 to 1. As you can imagine, it’s going to have to be a rare hand for such a payout. The match-play 21 requires you to receive a suited 7-7-7 while the dealer is holding a 7, too. You might be wondering how you can receive a suited 777, but match-play 21 usually uses 4 decks of (48) cards. These aren’t the only additional payouts, of course. If you receive an unsuited 777 hand, you’ll not only get a likely win from a 21, but you’ll be paid an additional smaller payout. Same color 777s pay out a little bit more. BJ and Perfect Pairs – “BJ & Perfect Pairs” has its odd name because it’s classic blackjack with a “perfect pairs” side bet. When you make the side bet, you get paid out more if your two dealt cards are a matching pair. Any unmatched pair (of suit or color) pays out at 5:1. If you have a pair that’s the same color, but not the same suit, you receive a 10:1 payout. A hand that contains a pair of the same suit pays out at 30:1. The suited pair can happen because you’re playing BJ & perfect pairs with a multi-deck that’s actually several decks of cards shuffled together. Face Up 21 – Face Up 21 is just another name for double exposure blackjack. Both the dealer’s cards are dealt face up, so you know exactly what kind of odds you’re facing. At the same time, the player loses any tie, so the house maintains their edge. In fact, the house edge in face-up 21 is slightly higher than it is in classic blackjack: about 0.20% higher. Those are still going to be some of the best odds a player is going to see in most online casino environments. Pontoon 21 – Pontoon is the name given to a ace-10 twenty-one in this British variant of twenty-one. The pontoon is the best hand you can build in the game. The 5-card trick is the second-best hand. A five-card trick is any 5 cards which don’t exceed 21. It doesn’t matter if these cards equal 16, 20, or 21–all of them complete the five-card trick. On the other hand, all ties go to the dealer in pontoon, so keep that in mind. On the good side of things, blackjacks (pontoons) pay off at 2-to-1 ratio, instead of the traditional 3-to-2. 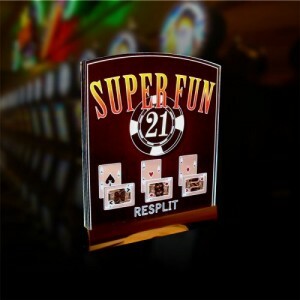 Super 21 – Super 21 blackjack is quite similar to the game known as Super-fun 21 blackjack at other land-based casinos. This game has a five-card trick and a six-card trick, but only pays out at 1:1 on a blackjack. On the plus side, one can double on any number of cards and surrender is also allowed. Zappit Blackjack – Zappit Blackjack is only found at Bovada. 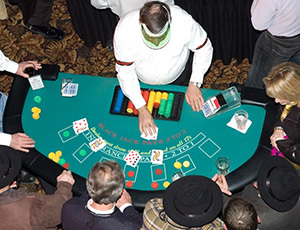 It is a traditional blackjack game with one very major rule change. A player that is dealt a 15, 16 or 17 may discard both cards and draw a new hand. Players should always trade for a new hand when 15, 16 and 17 are dealt. In exchange for this player friendly rule, the house pushes if the dealer draws 22 on any hand. Players may double down on any two cards and after splitting. Blackjack pays 3-2 but zapped blackjacks only pay even money. You can find where these blackjack variants and others are being offered by visiting our “Blackjack Rules & Conditions” page and searching the notes column on our charts.